SACRAMENTO, Calif. -- Nearly 40 years after a former Manson family member pointed a gun at President Gerald Ford, the audiotape from her pretrial psychiatric examination has been made public. 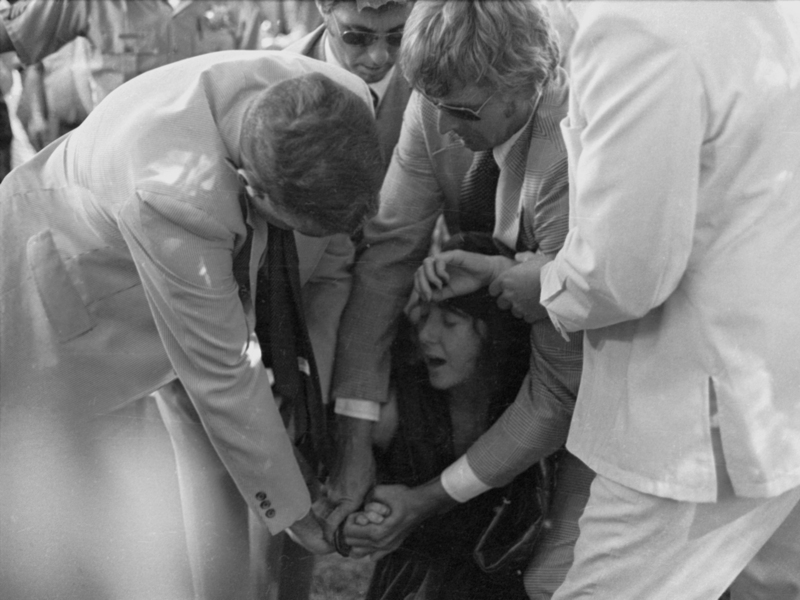 The recording of Lynette Alice "Squeaky" Fromme was made Sept. 21, 1975, a little more than two weeks after the 26-year-old Fromme aimed her pistol at Ford in Sacramento's Capitol Park. The gun did not go off and Fromme was wrestled to the ground by a Secret Service agent. The tape was made in order to determine her competence to stand trial and to be her own attorney. The Sacramento Bee reports that in the recording, Fromme spoke confidently about her ability to represent herself at trial and be acquitted. "What would you estimate to be your percentage chance at this point of being found not guilty?" the psychiatrist James R. Richmond asked Fromme on the tape. "Oh, I feel, I feel definitely I have probably a 70 percent chance on the percentage scale," Fromme said in response. She added, "I don't feel that I'll be convicted of attempted assassination." (Listen to excerpts of Fromme's examination here). She was wrong. Though Fromme did not represent herself at trial, she was convicted and remained in prison until she was released on parole in 2009. She also discusses her interactions with the mass murderer Charles Manson. Charles Manson, 79, remains imprisoned at California State Prison in Corcoran.